Gorman, Brenda. "Elvis Stojko". The Canadian Encyclopedia, 04 March 2015, Historica Canada. https://www.thecanadianencyclopedia.ca/en/article/elvis-stojko. Accessed 22 April 2019. As a young skater, Stojko still lacked the finesse and artistic ability to challenge for the championship. He finished 2nd at the Canadian championships for the next 3 years but showed consistent improvement in his artistic ability. Elvis Stojko (photo by F. Scott Grant/Canadian Sport Images). Elvis Stojko, figure skater (b at Newmarket, Ont 22 Mar 1972). Stojko began skating at an early age, and when not yet 18 made an impressive Seniors debut, finishing 2nd to reigning world champion Kurt Browning at the Canadian championships in 1990. 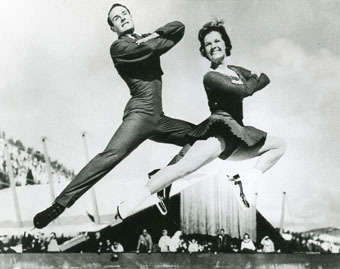 His tremendous jumping ability quickly established him as one of the world's top-ranked skaters, finishing 8th in that year's World Championships behind winner Browning. As a young skater, Stojko still lacked the finesse and artistic ability to challenge for the championship. He finished 2nd at the Canadian championships for the next 3 years but showed consistent improvement in his artistic ability. He placed 6th at the 1991 World Championships by performing the first quadruple jump combination in competition. A disappointing 7th-place finish at the 1992 Olympics was followed a month later with a trip to the medal podium at the World Championships, finishing 3rd. 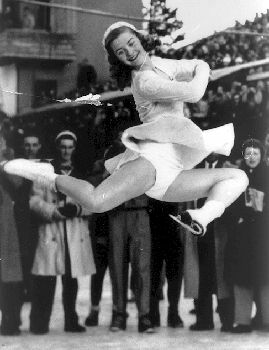 Stojko's technical and jumping skills were by now unmatched in the world, but judges were unwilling to reward his unorthodox approach to artistic skating. In 1993 he finished 2nd to Browning at the Canadian championships, but had clearly elevated his skating to become a serious contender. Browning won his 4th World Championship that year, narrowly edging Stojko and producing the 1st one-two finish by Canadian skaters. The 1994 Canadian championship was Stojko's coming-out party, as he defeated Browning for the title. His Olympic performances in Lillehammer that year were clearly superior, but the judges had not yet warmed to his artistic style and he won the silver medal. Performing the same routines that he had at the Olympics, Stojko won the World Championship in 1994, the 5th world title in 6 years won by Canadian men. Although bothered by an injured ankle that forced him to miss the Canadian championships in 1995, Stojko again beat the world's best to claim his 2nd straight World Championship and Canada's 7th men's title in 9 years. However, Stojko failed to win the world title in 1996, although he recovered to regain it in 1997. Stojko didn't compete at the World Championships in 1998, but he did take home a silver medal from the Winter Olympics in Nagano, where he competed with a groin injury. He competed at the World Championships in 1999, where he finished 4th. That same year he won his 4th consecutive Canadian championship, for a total of 5. In 2000 he added a silver medal at the World Championships to his long list of achievements. At Salt Lake in 2002, Stojko placed 8th in the men's event. Prior to the Olympics, he announced that it would be his last Olympic appearance. Citing exhaustion, he decided not to compete in the World Championships that followed, and on 12 March 2002 announced his decision to retire as an amateur and to continue his career as a professional skater.